Lois Lane famously appeared alongside Clark Kent in Action Comics #1. In the early Superman stories, Lois appears to despise Clark, who loves her and longs to win her himself, although it quickly becomes apparent that she's more interested in Superman. 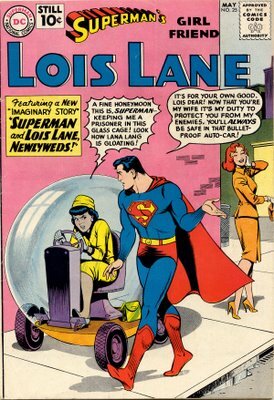 Lois earned a feature of her own right in Superman #28. Although the title of the feature may seem sexist to us now, "Lois Lane, Girl Reporter" was accurate at the time. Many newspapers had a "girl reporter" as something of a novelty--Nellie Bly being the most famous. The stories were generally four pages long and emphasized comedy over drama, much like the Alfred series that was printed in Batman around the same time. In 1954, a Superman supporting character was given a solo book, but it wasn't Lois Lane or even editor Perry White. Rather it was Jimmy Olsen. 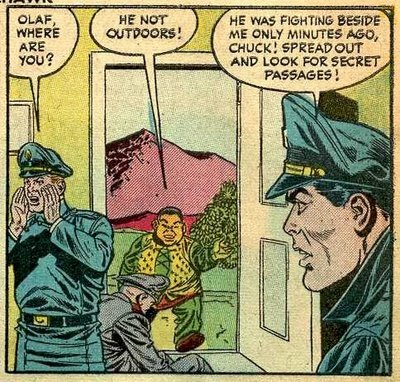 Olsen had been a relatively minor character in the comic books up till that time. 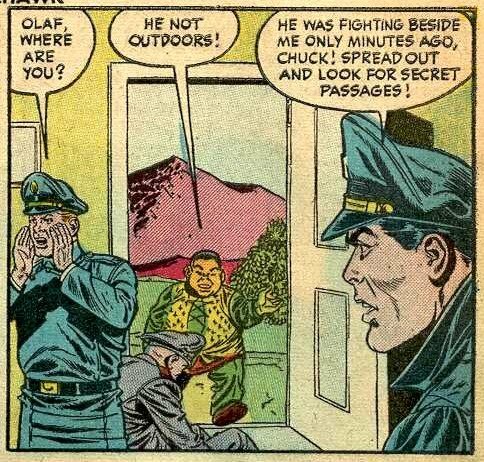 In fact, he was so minor that in Superman #72, a character looking exactly like the Silver Age Olsen appeared, as Perry White's son! Of course, Olsen had been a much more significant character in both the Superman radio show and on television, which is the most probable reason for the sudden launch of Superman's Pal, Jimmy Olsen. Lois didn't get her shot until Showcase #9, July-August 1957. She had one more tryout in the following issue, and in March-April 1958 Lois Lane #1 appeared on the newsstands. That issue also included the first artwork by the man who was to define Lois for the rest of the Silver Age, Kurt Schaffenberger. The stories from this era are always a guilty pleasure. They have just the right amount of whimsical humor without quite dissolving into farce. A frequent theme had Lois being wooed by another man, either wealthy or powerful. 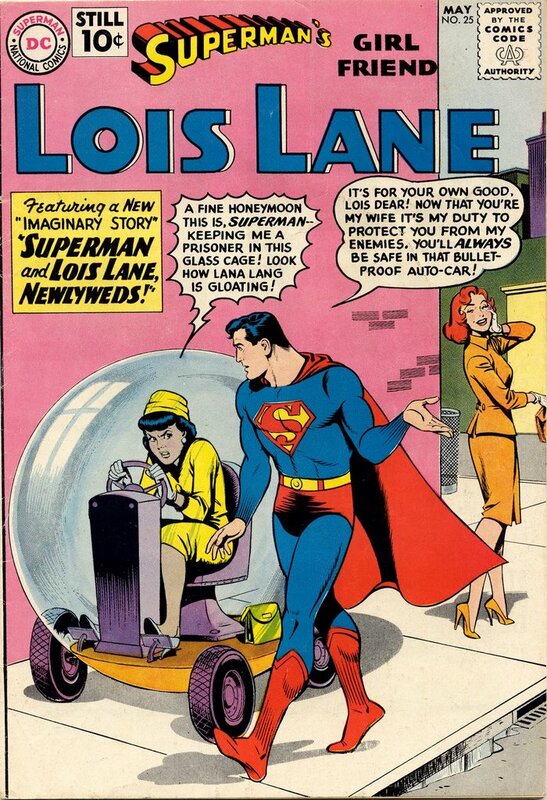 Of course, Lois' goal was always to marry Superman, and there was a continuing "imaginary" series including the above story about the trials and tribulations of being married to the Man of Steel. In the late 1950s and early 1960s war comic books became more popular, mirroring trends in pop culture as a whole. As the World War II generation moved into positions of power, they naturally wanted to explore the themes of the most important events of their generation. DC had several war magazines as the Silver Age started; All American Men of War, Our Army at War, Our Fighting Forces, and Star Spangled War Stories; they added GI Combat after purchasing the title from the old Quality Line. For the most part the stories in these comics were one-shots, featuring characters that would not appear again. This was a significant negative as most other comics had continuing characters. So DC gradually began to add features to its titles which did not have them. Our Fighting Forces starred Gunner & Sarge starting with issue #45, with a May 1959 cover date. Gunner was a Thompson sub-machine gunner, while Sarge was the crusty order giver. The pair apparently formed the smallest squadron in the US Marines, although they grew a bit with Our Fighting Forces #49, when a German shepherd dog (named Billy, but simply called Pooch) was added to the mix. Although they mostly fought in the Pacific, oddly enough in the first story they were in Europe battling the Nazis. That story also established a basic pattern for the series. Gunner was the decoy, intended to draw the fire of the enemy so that the Sarge could locate and finish them off. Many stories featured Gunner griping about this. Gunner, Sarge & Pooch lasted until Our Fighting Forces #94, August 1965, when they were retired in favor of the Fighting Devil Dog, a series of Vietnam stories featuring Sergeant Rock's younger brother, Larry. However, they were resurrected a few years later for a series called "The Losers" which featured them, Johnny Cloud, and Captain Storm. 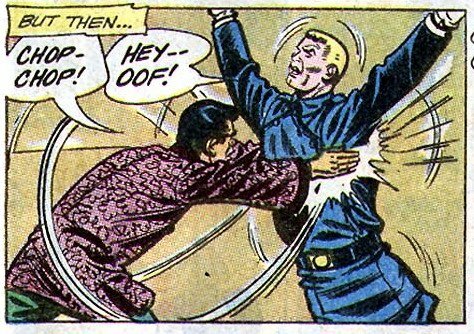 Ironically, The Losers lasted even longer than Gunner & Sarge's original fifty issues, accounting for the final 59 issues of Our Fighting Forces. Update: Star-Studded War Comics has a post up featuring a solid Gunner & Sarge story. Pete Ross was a moderately interesting character in the Superboy/Superman mythos. Young Clark Kent meets Pete in Superboy #86, when a couple of bullies pick on Clark in a theatre line. Ross soon sends the bullies packing and a friendship is struck. But Clark has always avoided close friendships for a good reason: Because a buddy would notice if Clark suddenly disappeared all the time whenever an emergency came up requiring Superboy's services. And it turns out that Pete has a hobby that makes Clark a little nervous. He's recording information on Superboy's attributes and comparing those to Clark's. However, it all proves to be innocent, as Pete wants Clark to portray Superboy in a school play. In Superboy #90, Pete discovers Clark's secret identity. Pete and Clark are camping out together when an emergency call goes out for Superboy. As Clark changes, a lightning flash reveals him in his Superboy costume. This was a pretty big deal for DC, because Superman, their signature character, had never had anybody know his identity at that time aside from the Kents and Batman. Thus it would seem that Pete would become a significant character in the DC universe. But as it worked out, there really wasn't a lot of use for him in the stories. In Superboy #94, Pete helps Superboy protect his identity, but you can only do that so many times before it becomes tiresome. At one point he was inducted into the Legion of Super Heroes because of his nobility in knowing Superboy's identity and not announcing it. But of course, once that's done, there's not much use for Pete in the Legion. He did appear a few more times in Superboy and in Superman (as an adult) as well, but he was pretty much a marginal character despite what seemed like an exciting and promising beginning. 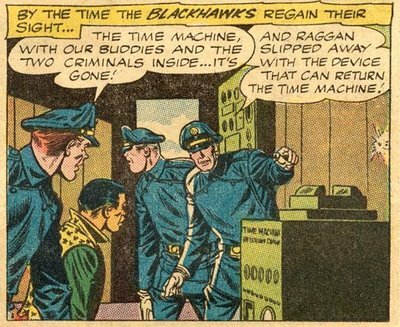 DC had a tough time launching Hawkman in the 1960s. The first three tryouts, in Brave & Bold #34-36 apparently did not sell well enough to justify giving him his own book. DC gave it another run in B&B #42-44. When those did not work out as well as planned, DC shifted the character to Mystery in Space effective with #87. In addition, Joe Kubert was taken off the art chores. Kubert had drawn Hawkman in the Golden Age, but his style did not seem to impress superhero fans (although his war comics sold well at the time). 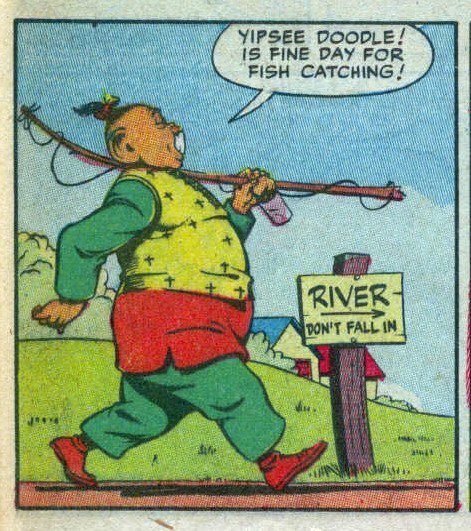 DC handed the character to Murphy Anderson. Anderson had mostly been a science-fiction penciller for DC, although he also did inks for many titles. A fine artist, Anderson had a tight line and a terrific eye for facial expressions. 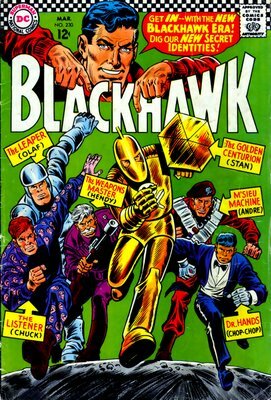 Sadly, Anderson's assignment to Hawkman may have prompted the end of the terrific Atomic Knights series which he had created in Strange Adventures; the last episode of that feature appeared two months after the first MIS Hawkman. 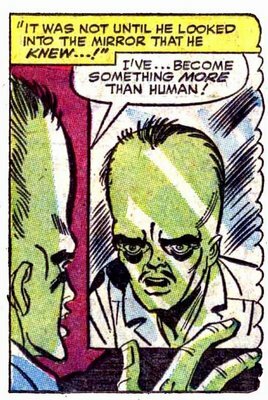 The first story in Mystery in Space introduced a frequently recurring villain known as Ira Quimby, aka IQ. Quimby at first could think up brilliant criminal schemes but he was unable to put them into action until one day at the Metropolitan Museum, Quimby is turned into a genius by light rays falling on a glowing stone. Now his great ideas work because he is able to invent amazing machines that make them possible. As it happens, Carter Hall and his wife Shiera are visiting New York at the time and they witness IQ's first major crime. However, he brilliantly manages to come up with a way to defeat the Winged Wonders. Quimby later figures out that the stone is behind his sudden brilliance, but his attempt to steal it results in chips of the stone being left behind. Hawkman is able to use these to defeat Quimby. One particularly oddball facet of the Hawkman series was Mavis Trent. 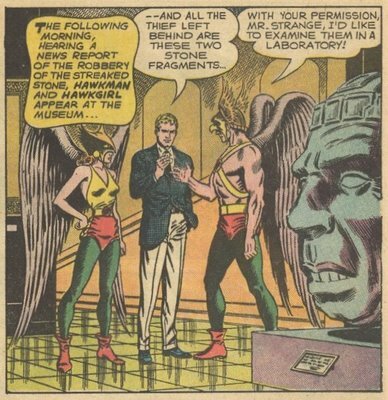 Mavis worked at the same museum as Carter Hall, and decided to set her cap for Hawkman after meeting him, even though he was obviously partnered with Hawkgirl. The heat gets turned up on this romantic triangle a notch in MIS #88, where Mavis impersonates Hawkgirl after accidentally finding her costume in the museum. Because Mavis has discovered a connection between Hawkman and the museum, they worry that she'll connect Carter Hall and Shiera with Hawkman and Hawkgirl, so they convince Police Commissioner Emmett (who knows their secret identities) to imply without quite lying to Mavis that Hawkman is still single. The highlight of Hawkman's brief run in Mystery in Space came in MIS #90. The story "Planets in Peril" featured a book-length team-up between Hawkman and Adam Strange. Earth is suddenly transported to an orbit around Rann's sun, but on the opposite side from Rann, and with a slightly faster orbit, which means the two planets will collide eventually. But with the heroes of two worlds working together, they manage to defeat the villain who caused the Earth to be teleported to Alpha Centauri. In the early 1960s he began to grow a bit. Whereas earlier he was usually shown as about waist-high on the other Blackhawks, now he generally reached their middle chests, sometimes even the shoulders. In Blackhawk #197, the crew got new uniforms, and Chop-Chop's clown costume, which he'd worn for 25 years or so, was finally retired. 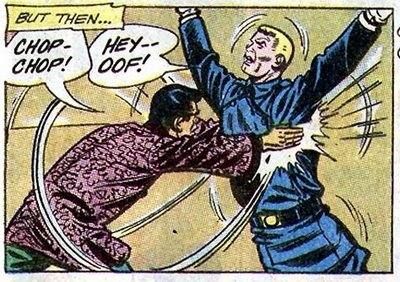 In Blackhawk #203, there was a revision of the Chop-Chop origin. 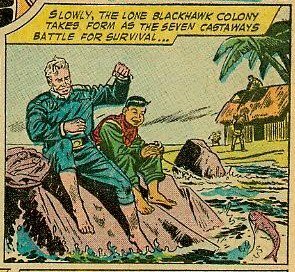 During this story, set back in the days of World War II, Blackhawk and the men are fighting the Japanese in China. They meet a masked fighter for the Chinese people named the White Dragon. Later they encounter Chop-Chop for the first time. He is a prince named Liu Huang who's suspected by the allies of being a traitor helping the Japanese. 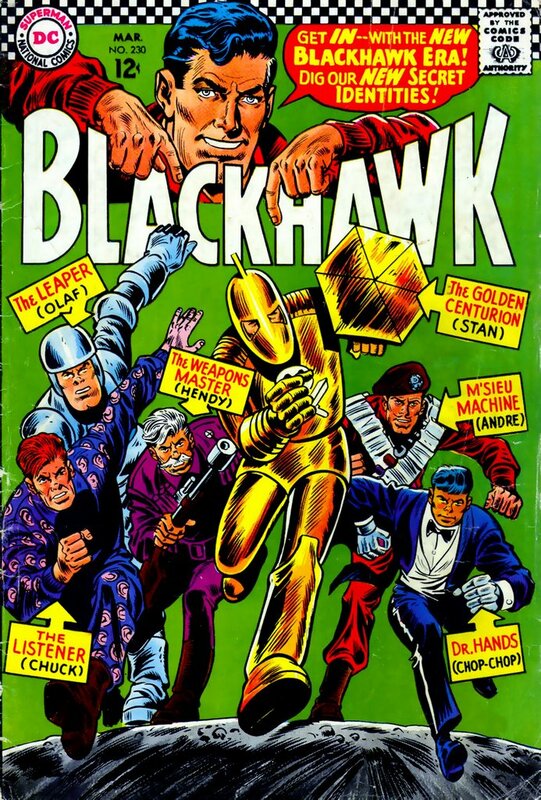 By then, Blackhawk was nearing the end of its run; the title limped on for another 13 issues. The success that DC and Marvel had with the great superhero revival of the 1960s did not go unnoticed. As discussed, ACG, which had resisted the siren call of the superhero for 20 years jumped in, as did Dell (with a notably lame effort). A new publisher also tested the waters. Tower Comics was created by Tower Publishing. Their flagship comic was THUNDER Agents. THUNDER stood for The Higher United Nations Defense Enforcement Reserves. THUNDER, while trying and failing to rescue Professor Jennings from assassins, recovered several devices he'd created. The first was a belt, which could give its wearer a body as hard and strong as steel. Second was an invisibility cloak. And last was a cybernetic helmet which could multiply one's brainpower many times over. After some testing and deliberation, three candidates were chosen to wear the devices. Leonard Brown wore the belt to become Dynamo because of his great personal stamina. However, the belt is not without its drawbacks--Brown cannot use it for more than a few minutes at a time for it drains his strength. Dr Dunn, an elderly scientist near death, decides to transfer his brainwaves into an android body. He can transfer to any of several bodies automatically, meaning that he will be difficult to kill, especially with the invisibility cloak that makes him Noman. Menthor is perhaps the most interesting character. Janus (no other name is given) is a mental and physical marvel, easily qualifying as a THUNDER Agent with the highest score ever on the entrance exam. But he's secretly a double agent, working for the Warlord. However, when he dons the helmet, he becomes a force for good, helping the THUNDER agents. Unfortunately the effect wears off when he removes the headgear, which he must do regularly, for it weakens him eventually. Later issues would introduce other characters, like Lightning (a Flash rip) and Raven (Hawkman). THUNDER Agents was an anthology comic, unlike, say, Fantastic Four or Justice League of America where the heroes teamed up as a band. For the most part the heroes went on separate adventures, as did the THUNDER Squad, a non-superpowered team, although brief crossovers were not uncommon within the individual stories. In addition, it was an oversized comic, with 68 pages (counting covers) for 25 cents. THUNDER Agents survived for 20 issues, or over 3 years. Unfortunately for Tower, the spinoffs of Dynamo and Noman were less successful, each lasting only a few issues. THUNDER Agents at Don Markstein's Toonapedia. Although the Leader had been mentioned in earlier issues, we first actually meet him in Tales to Astonish #63. The story follows the standard Marvel radioactive origin, with a janitor accidentally exposed to Gamma rays suddenly becoming a genius. Interestingly, he also turns green, which is what attracts his attention to the Hulk. This origin and the huge crainium appear to be swiped from Detective #217's "The Mental Giant of Gotham City", which had been reprinted in Batman Annual #3 a few years earlier. Of course, that story borrowed liberally from the famed science fiction short story Flowers for Algernon, so it's a swipe of a swipe. The Leader heads up a giant spy ring (although the only member we ever see is The Chameleon. He's as smart as the Hulk is strong, so their battles will be the classic brains versus brawn matchup. The stories in this era begin to fall into a common pattern. Bruce Banner is testing one of his weapons, which the Leader or the communists are trying to steal. In the course of the theft attempt, Banner transforms into the Hulk and defeats the plot. But Banner is suspected because he's constantly disappearing. The stories tend to end with a cliffhanger which is resolved in the following issue. Lee or Ditko did recognize that the constant suspicion on Banner would result in him being imprisoned (as he is at the end of TTA #63). So in #64, they come up with a get-out-of-jail-free card. Rick Jones (who is a member of the Avengers) gets a meeting with the President of the United States, and informs him of Banner's dual identity as the Hulk. This is a swipe from Superman, who had confided in President Kennedy (with disastrous results as I pointed out in an earlier post). The Leader is intrigued by the Hulk's green appearance. Could he also have been transformed by Gamma rays? He resolves to kidnap him and find out.